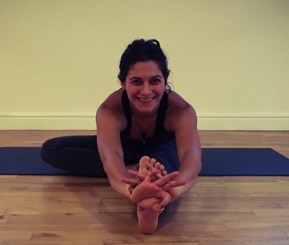 Deanne has been teaching Yoga for over 18 years, specialising in prenatal yoga in some of London’s most popular Yoga centres. She completed her teacher training course in 2002 with Sophie Hoare and John Stirk. She took the prenatal Yoga Teacher training course with YogaBirth in 2006, qualifying as a child birth educator, followed by their birth preparation course and postnatal teacher training in 2008. Inspired by the Yogabirth training, Deanne was encouraged to carry on supporting families in London as a Doula, and has since supported over 50 families with this unique loving experience. Deanne continues to teach general and prenatal classes in London, with scheduled weekly classes and monthly birth preparation courses. She is a member with The Independant Yoga Teachers Association and an assistant teacher for their Teacher Training courses. She continues to learn and evolve by attending trainings, workshops and classes with inspirational teachers from all over the world. Sunnah has been teaching yoga since 2002. Originally trained in the Sivananda Ashram, she is now a BWY teacher and continues to work and train with various teachers and different styles to keep her classes fresh and challenging. In 2006 she qualified as a Pregnancy Yoga Teacher and Child Birth Educator with YogaBirth, set up by Yvonne Moore and Lolly Stirk and a number of other wonderful Active Birth teachers. She was fortunate enough to be mentored by both Yvonne and Lolly as well as draw on the experience of everyone within the organisation. Lulu has been working with pregnant women since the birth of her first daughter in 1998. An original member of Doula UK (2001) she has supported more than 300 couples through the births of their babies and acted as a Doula Mentor for Doula Uk. Discovering yoga in India at 19yrs old she was inspired to train as a teacher after experiencing the transformative powers of yoga through her own pregnancies, guided by seminal teacher Lolly Stirk. Lulu trained with YogaBirth and qualified as a Pregnancy Yoga Teacher and Childbirth Educator in 2006, again with the privilege of mentorship from Lolly Stirk and Yvonne Moore. Post Natal certification with YogaBirth followed on as a natural continuum. She has completed trainings with extraordinary teachers and gurus in the world of birth such as Michel Odent, Penny Simkin, Sheila Kitzinger and Ina May Gaskin. 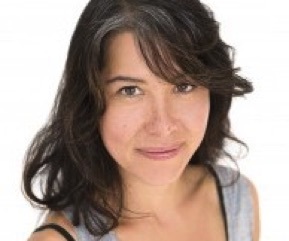 Lulu is also a certified Hypno-Birthing Instructor and practising Maternity Reflexologist. In 2007 she set up the thriving pre and post natal yoga department at The Power Yoga Company and in 2013 established the same at Lumi Power Yoga. Lulu is a co founder of The London Birth and Baby Consultancy and is also trained in The 3 Step Rewind Method for Traumatic Birth Debriefing.